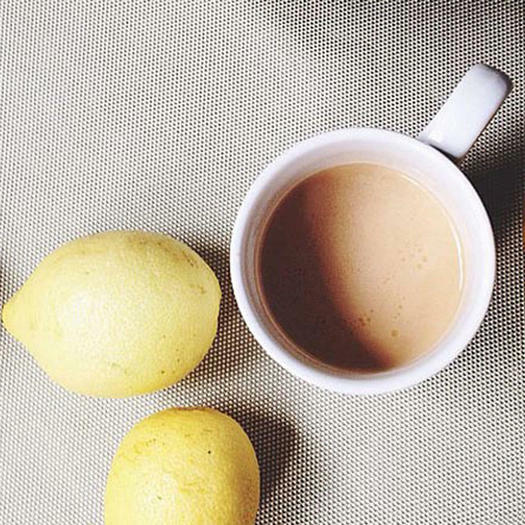 Whether or not you ditch the lemon after that first cup, stick to H2O throughout the day. Water prevents common causes of bloating like constipation and dehydration and doesn't contain any stomach-expanding ingredients like sweeteners and carbonation that are present in other drinks like soda (yes, even diet) and seltzer. Lactose sensitivity is way more common than you probably think--even if you possibly have the mildest case. Many people experience some form of negative side effects (most often gas and bloating) after milk, cheese or yogurt. We're not saying cut these out for good, but ahead of a big event, steer clear of dairy just to be safe, since you never really know how your body is going to react. When you eat too quickly, you swallow more air, which can cause bloat. Chew slower and more mindfully and maybe skip the after-lunch gum (which has a similar effect) while you're at it. See Also: What Banana Color is Best for Weight Loss? Consider a quick yoga sequence aimed at increasing blood flow to your digestive tract and ridding your internal organs of constipation-causing toxins. Also consider an abdominal massage, which increases blood flow and soothes your muscles (and also works wonders on period cramps).